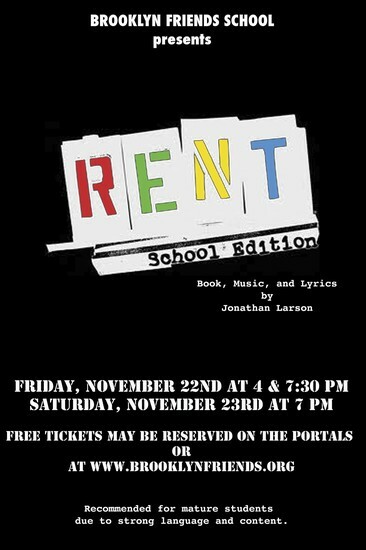 The Performing Arts Department and Enrollment Office invite you to our production of Rent on Friday, November 22 at 7:30pm and Saturday, November 23 at 7pm. Come and see our Middle and Upper School students tell the tales of young adults struggling to survive in NYC's Lower East Side. *We strongly encourage you to attend the Saturday performance at 7pm. Please RSVP below for free tickets to the show.